With no experience in purchasing a web host, the people of CubixCloud gladly helped me setup everything. Transferring my site to there servers was a breeze, taking no longer then a couple of hours. Also with one on one online support, all my problems were solved fast with no complains. I recommend CubixCloud for advanced and beginner users looking for a web host that they can rely on. CubixCloud has been a wonderful and reliable host. Setting my website up was very easy, and there has barely been any downtime. Support is good as well, they usually respond within an hour. 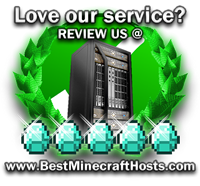 All in all, I'd recommend CubixCloud for anyone in need of good and reliable hosting. I have had CubixCloud for about one month and one word I can say. Amazing! I have had many other hosts and CubixCloud is the best by far. I really love the support and server uptime. I have ad no issues and they are just great. Send your reviews to customer@CubixCloud.com!